Show and hide map layers. Increase and decrease the map scale. Create new items on the map. Copy items (places and simple polygonal items). Undo edits and send reports about a map item to the moderator (so that the item will get deleted, for example). Read map item comments and add your own. View the history of a map item. View the history of your actions on the map. To view your notifications list, click the Notifications button . 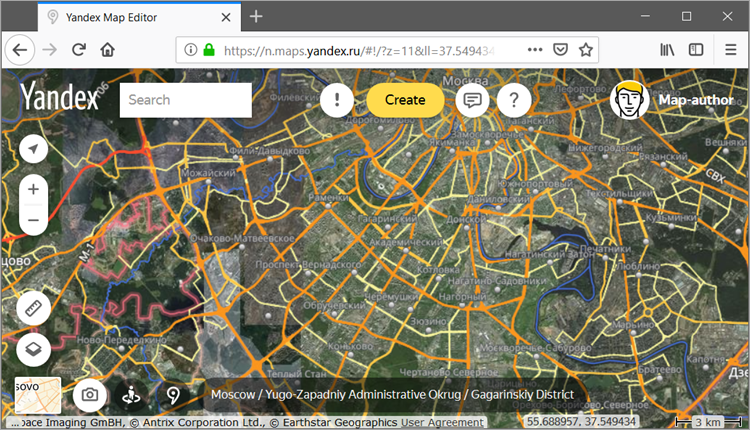 Open the Yandex Map Editor directory. Click in the attribute panel of the map item (the directory opens on the page containing the rules for working with that type of map item). 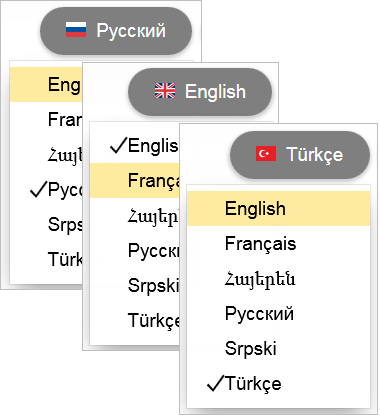 — Yandex Map Editor Club . — “Live broadcast” (lets you view what's happening on YME in real time). Determine your location. Just click (My location). This will position the map so that your current location displays in the center of it. 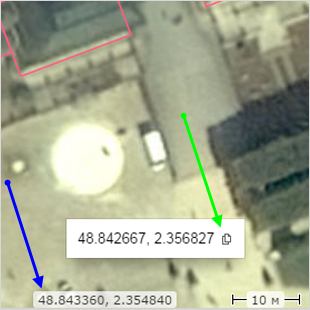 Coordinates are indicated as decimal numbers in the format “latitude longitude”. Northern latitude and eastern longitude are unsigned numbers; southern latitude and western longitude display a “minus” sign before the digits. Coordinates can be used, for example, when searching for items or to send information about an item's location. See the section of YME that's currently displaying on Yandex.Maps. 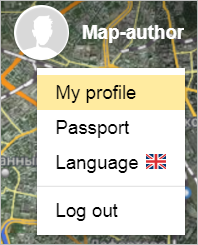 Just click (Go to Yandex.Maps). View street panoramas. Click (Go to Yandex.Panoramas). If there are no panoramas for the territory you're working on, the button will be disabled. View pictures taken from speed cameras and the Yandex Map Editor mobile app. Click (Images of the area).